Welcoming the steps taken at the Drugs Technical Advisory Board (DTAB) 82nd meeting in Delhi recently, AIMED has raised concerns on key strategic aspects of the roadmap discussed with the Indian Medical Devices Industry Associations. “We request the government to stick to earlier assurance given to the Industry by MOH&FW in 2016 of four steps – of starting with Medical Devices Rules (MDR), initially experimenting with a few electronic devices under MDR, MDR to be amended as per experience gained after six months of introduction and simultaneously draft a Medical Device Patient Safety Bill to be reviewed and passed by Parliament and the MDR to be tweaked to fit with eventual Medical Device Law,” said Rajiv Nath, Foreign Coordinator, AIMED. “We complement CDSCO and MoH&FW to bring in a separate regulatory framework for medical devices independent of drugs and carry forward the initial rolling out of regulations from the launch of Medical Devices Rules earlier in Jan 2018 to a logical conclusion and in a phased manner, but much more needs to be done and in a more planned manner in place of a piecemeal approach. We regret to note certain important strategic directions are missing,” he added. He also urged the MoH&FW to ensure patient safety and encourage domestic manufacturing that had been negatively impacted in absence of a predictable regulatory environment. “It’s imperative to have a separate law as devices are engineering items and not medicines – an X ray machine by no stretch of imagination can be called a drug. So, continued attempts to regulate devices as drugs is illogical. The Medical Devices Rules has risk proportionate controls correlating to risk classification of devices. Similarly, the law and penal provisions need to be risk proportional as you can’t have the same penalty for a manufacturing failure of a spectacle as is for a contact lens or for a intraocular lens. “In absence of regulatory approval, a startup and entrepreneur is challenged to prove his medical device is safe to be used on patients and has good quality though the Quality Council of India does provide a voluntary certification scheme,” he mentioned. “There is an urgent need for an integrated development policy to put ‘Make In India’ initiative in medical devices sector in top gear, reduce high import dependency on foreign made devices in order to promote indigenous manufacturing of drugs and devices as a regulatory approval to an indigenous product, which will go a long way in making India a global robust hub for medical devices manufacturing and fulfilling government’s mission of making quality healthcare affordable for common masses,” concluded Nath. In the meeting, the board further agreed that CDSCO should be strengthened with respect to manpower and infrastructure to regulate all medical devices. The Board further recommended to include specialists like dentists and ophthalmologists in the category of experts to be recruited. The board also recommended that manpower and infrastructure in all states should also be strengthened and an advisory may be issued to all the states in this regard. Registration of all manufacturers and importers of all non-notified medical devices at earliest on voluntary basis initially and then mandatory. Representation on DTAB by medical devices industry nominees and regulatory expert as a special invitee till we have Medical Devices Technical Advisory Board (MTAB). 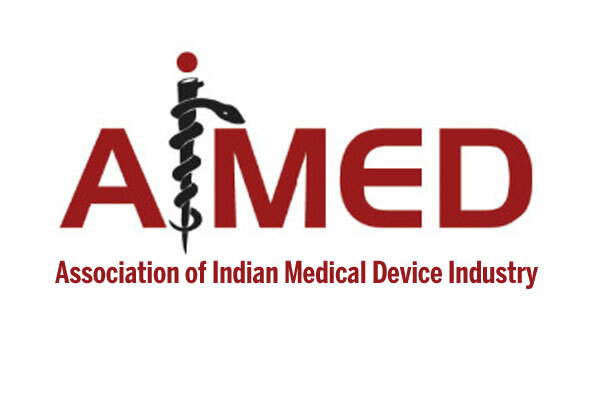 Constitution of MD – EAG (Medical Devices- Expert Advisory Group) to aid DTAB and MoH in rolling out medical devices regulations in a phased manner.